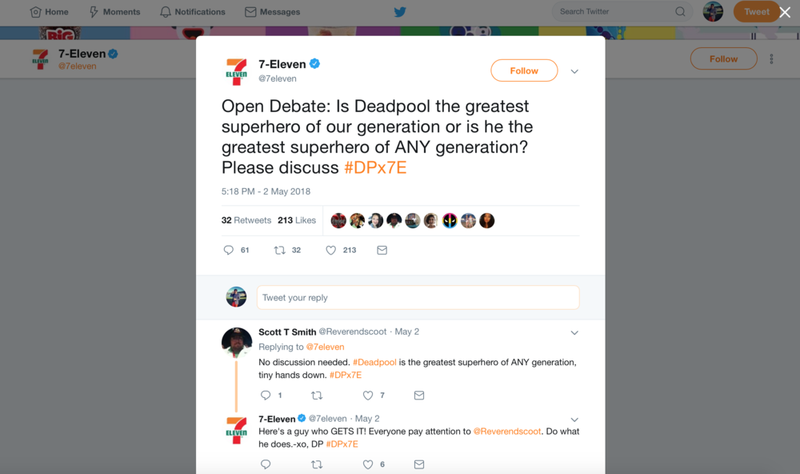 To promote the release of Deadpool 2, we let the sassy superhero run wild on 7-Eleven’s Twitter for a day. 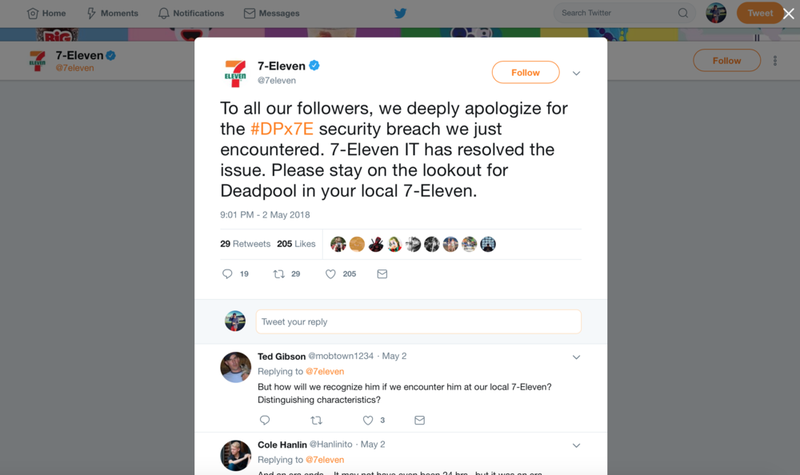 Throughout the takeover we gave away prizes, engaged with fans, and let everyone know that 7-Eleven was Deadpool’s snack-stop of choice. 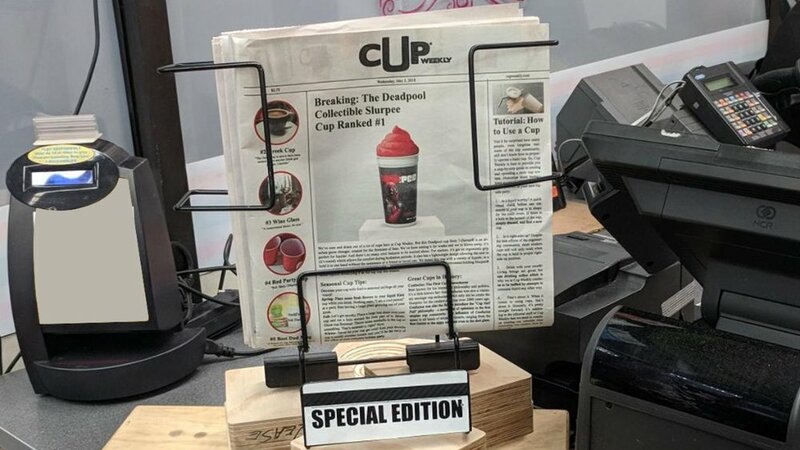 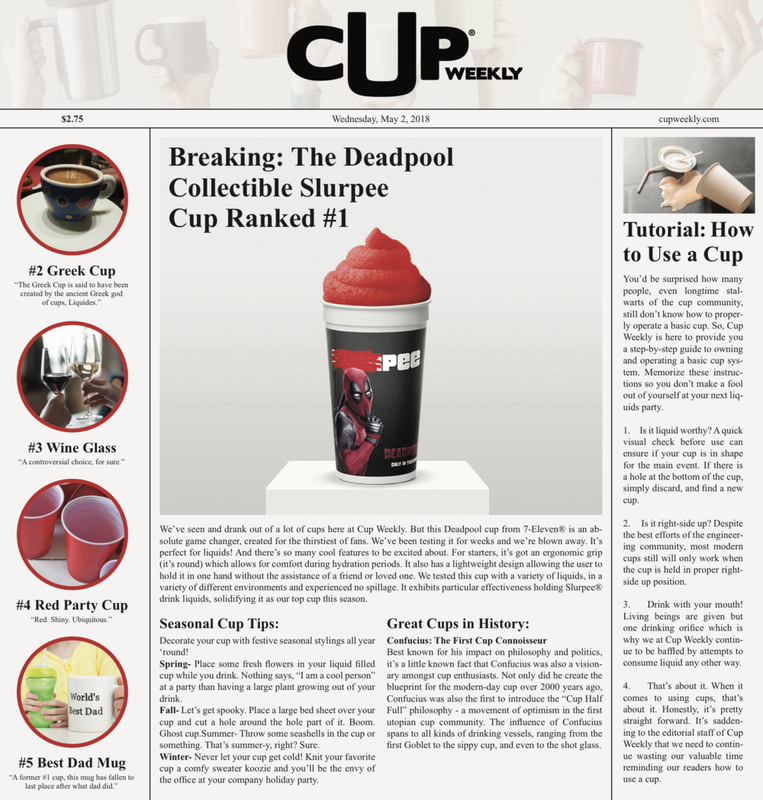 We even created a cup-themed newspaper hyping the new Deadpool Slurpee cup.